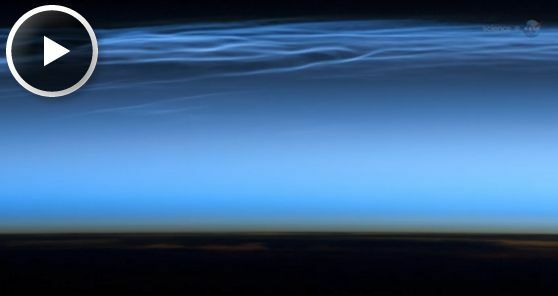 Dec. 23, 2013: Data from NASA's AIM spacecraft show that noctilucent clouds are like a great "geophysical light bulb." They turn on every year in late spring, reaching almost full intensity over a period of no more than 5 to 10 days. News flash: The bulb is glowing. As December unfolds, a vast bank of noctilucent clouds is blanketing Antarctica. It started on Nov. 20th as a tiny puff of electric-blue and quickly expanded to overlie nearly the entire continent. AIM is monitoring the progress of the clouds as they swirl and ripple around the south pole. "The clouds appeared over the south pole earlier than usual this year," says AIM science team member Cora Randall of the Laboratory for Atmospheric and Space Physics in Colorado. "Since AIM was launched, only the 2009 season got an earlier start. Noctilucent clouds--or "NLCs" for short--are Earth's highest clouds. Seeded by disintegrating meteoroids, they form at the edge of space 83 km above Earth's surface. When sunlight hits the tiny ice crystals that make up these clouds, they appear to glow electric blue. Summer is when NLCs are at their brightest and most widespread. Now is summer in the southern hemisphere. The clouds brighten over the south pole in November through February, and shift to the north pole in May through August. Why summer? The answer has to do with wind patterns and the flow of humidity in our atmosphere. Summer happens to be the time when the greatest number of water molecules are wafted up from the lower atmosphere to mix with "meteor smoke" at the edge of space. Ironically, summer is also the time when the upper atmosphere is coldest, allowing the ice crystals of NLCs to form. In recent years NLCs have intensified and spread. 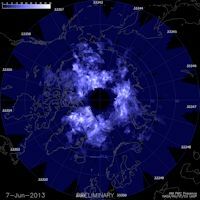 When noctilucent clouds first appeared in the 19th century, you had to travel to polar regions to see them. Since the turn of the century, however, they have been sighted as close to the equator as Colorado and Utah. Some researchers believe this is a sign of climate change. 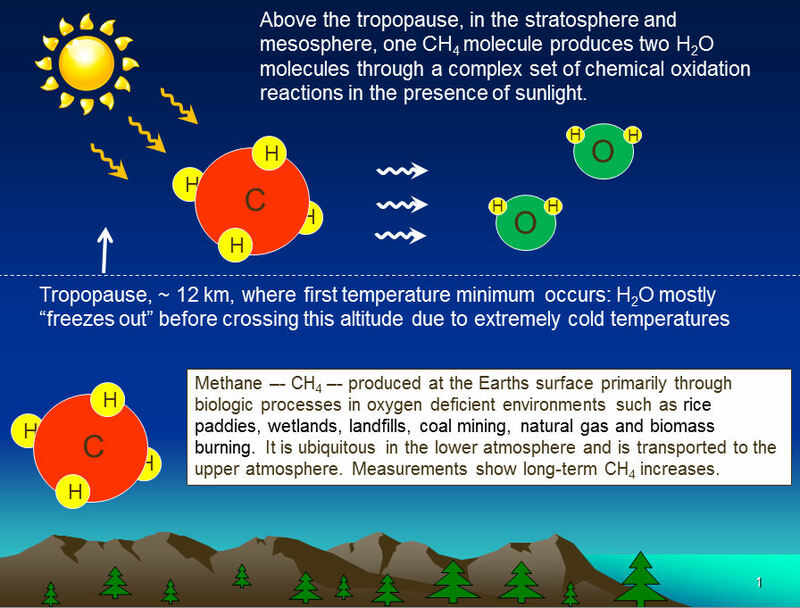 One of the greenhouse gases that has become more abundant in Earth's atmosphere since the 19th century is methane. "When methane makes its way into the upper atmosphere, it is oxidized by a complex series of reactions to form water vapor," explains Hampton University Professor James Russell, the principal investigator of AIM. "This extra water vapor is then available to grow ice crystals for NLCs." If this idea, one of several, is correct, noctilucent clouds are a sort of "canary in a coal mine" for one of the most important greenhouse gases. And that, says Russell, is a great reason to study them. Studying NLCs is the prime mission of the AIM spacecraft. Since it was launched in 2007, AIM has made many key discoveries including the role of meteor dust in seeding NLCs and the way NLCs are affected by long-distance teleconnections in the atmosphere. More discoveries may be in the offing as NASA has just extended the mission for another two years.